This Workshop 27 inch. 3-Drawer Top Chest is the perfect unit for the homeowner who wants organization without spending a fortune. This unit is loaded with features including smooth ball-bearing drawer slides and a rear locking mechanism. 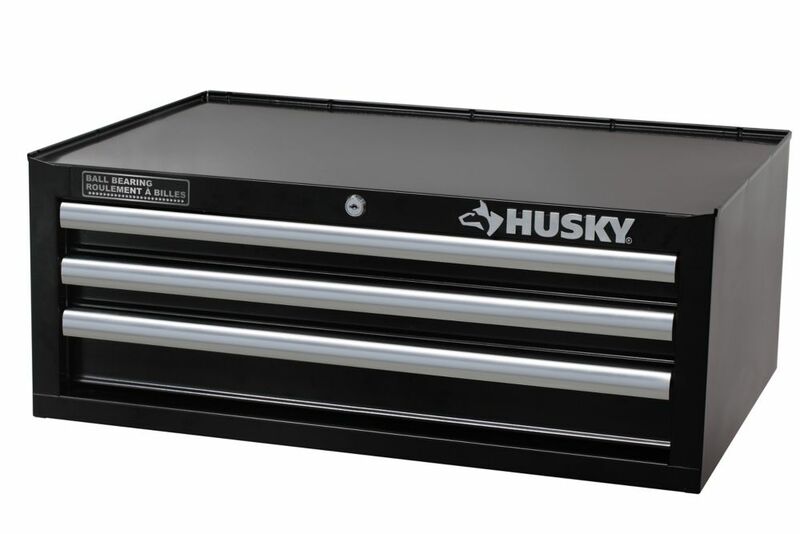 27 In 3-Drw Intermediate Chest This black 3-Drawer tool chest is made from high grade all welded steel construction and finished with tough black industrial powder coat paint. 2 small and 3 large drawer are ideal for a wide array of items. All drawers feature 50 lb. rated ball bearing drawer slides. All drawers have extra-large full width aluminum drawer pulls for easy access. The cabinet drawers are secured by a keyed internal locking system and come with 2 keys.